Every mysore teaching opportunity starts with a story of sorts, most of which begins with “Once Upon A Time in Mysore.” Whether it’s a chance meeting or a meeting of minds, ultimately, it’s our connections with our fellow students and, ultimately, our individual connection with our teacher in India is what brings Mysore teachers together, we are students first–together! Barbara Süss and I shared a flat for one month in Mysore back in 2014. She wasn’t even supposed to be my roommate, in fact, she wasn’t even supposed to be in Mysore during that February. But as fate would have it, we would share the shortest month and have the most expansive of times. Our talks over the stove top were as nourishing as the dishes Barbara would cook up. I would come home half dead from practice followed by 2 plus hours of assisting Sharathji in the shala and she would instantly revive me with a smoothie that she had just, at that moment, whipped up. I kind of thought she was magic. At the very least proof that I had good karma stored up. We had such deep heart to hearts that were later maintained over messenger and FaceTime calls. And like many of my Mysore friendships, we may not always be up to date, but we were often enough in touch. Many times, my relationships with fellow teachers whose programs I come to teach for are often deepened by the experience of sharing space, students, the collective energy of a program. It’s incredibly intimate, a bond forms when you sub or assist for another teacher. 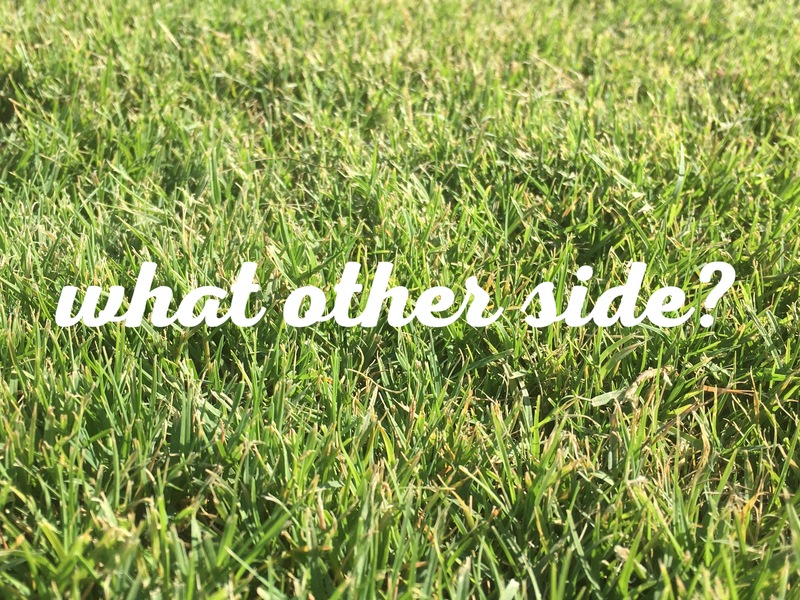 I think often we gravitate towards fellow students who we may not know too well–not to begin with, anyway–but whose energies we like, who we somehow resonate with. Others, well, they’re you’re peeps already because Mysore opened up the whole can-of-worms-that-is-your-life and we end up witnessing that for each other. So, I’m stoked. I’m stoked to see Barbara again, even if ever so briefly, so she can have a break herself because she’s been super working hard since she started this program nearly a year ago. I’m stoked to hang out with her cats and in her kitchen, because I know Barbara in the kitchen and I can imagine her kitchen back home in Vienna is going to rock my casbah. It’s been a total ashtanga adventure once again being in Portugal, between taking class with Xico Rodrigues (who’s been a total star and so helpful giving me great assists and tips on my neck problems) to the ashtangi-populated Being Gathering up north, to these days in Vila Nova Milfontes, practicing with Tarik and Lea (Love Ashtanga Yoga). Tomorrow, we take our last class here (sadly, it’s such a full power room here!) and head back to Lisbon, where I have to shake off this vacation/student mode and tune back into teaching. Ah…to be present–easier said than done. How often are we pulled into future projections, expectations? On the flip side, how often do we hold on to old feelings, stories? How many of us are haunted by memories? How much do we actually live in the presentness of our lives–in all of its wonder, joy, messiness and complexities? A couple of weeks ago, I was embroiled in a decision-making process that had me mulling over numbers and future scenarios, as well as past difficulties–all really good tools in terms of making well-informed choices. But I was distracted and confused by it all. In the end, however, it took settling into the present moment, weighing my own feelings about the things I actually know and experience to get to an answer that I could really sit with: that I am happy where I am and that I am little pressed to change that. It seemed so simple, just at that moment. I am often baffled by my own mind, how it is pulled so easily in so many directions. Once again, practice is an amazing antidote for this. We get on that mat. We do our thing. Our focus and attention may wander here and there, but eventually they are pulled back into our center, and slowly over time we are training ourselves to experience THAT exact breath, THAT exact movement, to stop looking at others or beyond our current practice or our current posture, to trust that change will come when it’s time. 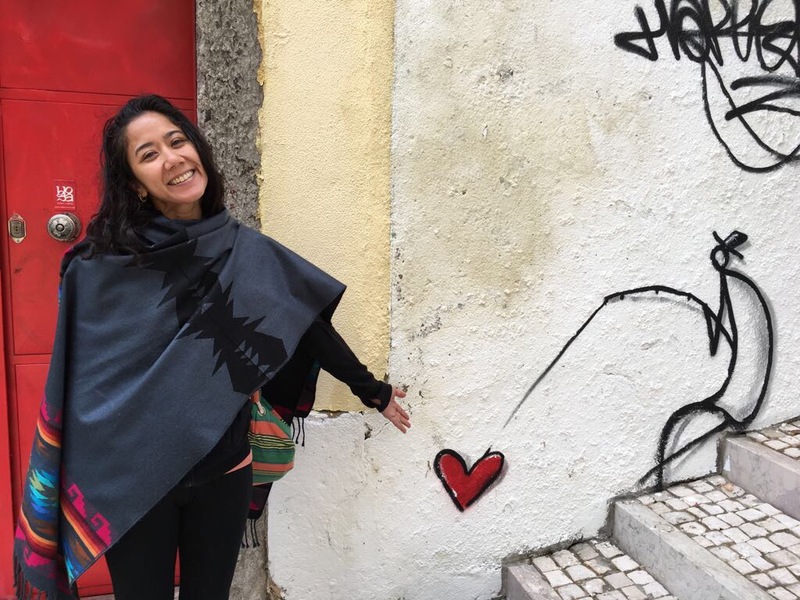 When we start to live this experience of being present on our mat, we start to repair the damage of a world that cajoles us into seeking out some future happiness. That’s not to say we aren’t allowed to direct our energy, or even want things for ourselves–its about cultivating that harmony with simply being. This, I feel, is also what Pattabhi Jois has so famously imparted on us: “Practice, practice, all is coming.” Again, easier said than done. Yet, they key is in the doing. Just practice–the strength, the flexibility, the āsana will all come, but also, perhaps most importantly, this appreciation for the present moment, whatever it looks like. Last year, I decided to teach through the first 3 weeks of Ramadan. It was the first time any of my trips to Egypt coincided with this period. I hadn’t planned for it, but was happy to have a new teaching experience. I had been told that it would be different, a few teacher-friends based here advised me on what worked best for them and their students during the month-long period where practicing Muslims fasted from sun-up to sundown. I scheduled classes with a bit of trepidation, a shorter morning class as usual for non-fasters and another afternoon session before the breaking of the fast, iftar. It wasn’t my ideal to break up our already-small group and work the extra hours, but, in my gut, I felt that traditional ashtanga practice would suit Ramadan, that it could be a good compliment to the season as a meditation and as a physical support system. In truth, the entire rhythm of Cairo changes during this time, the breaking of the fast determines the working and living hours of its 9.5 million residents, regardless of one’s faith. Energy consumption becomes a serious issue among fasters, but non-fasters too take on some of the rigorous social schedule dictated by meal times. Also, revised office hours creates time, particularly in the hours before Iftar. The clubs and bars cease to serve alcohol and everything quiets down or turns inwards.. A totally different energy and pace blankets the city. 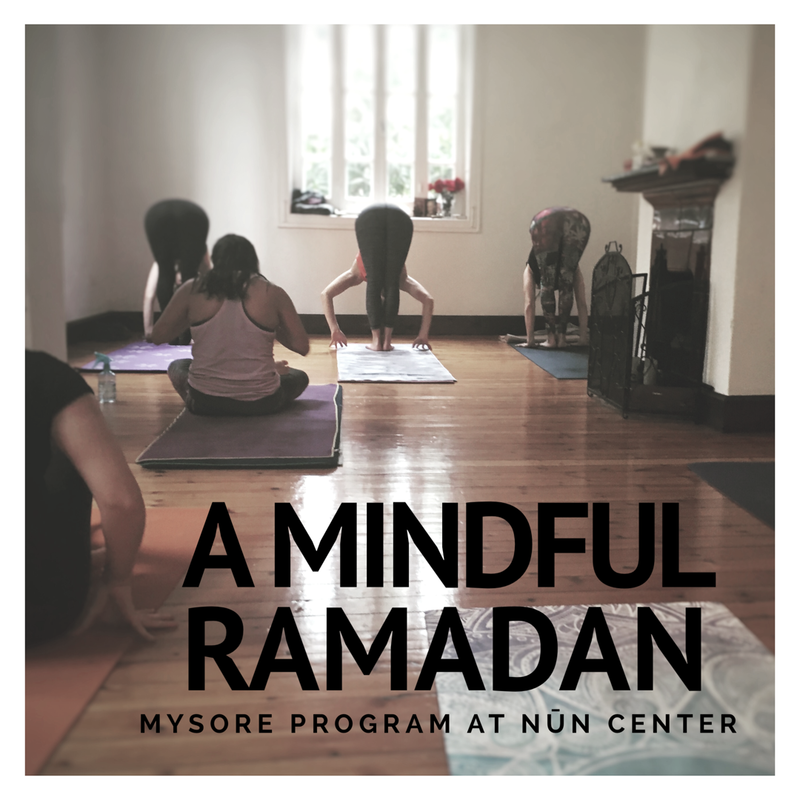 Teaching during Ramadan last year reminded me how important it is to be flexible as a teacher; and reinforced my belief that the mysore-style self-practice is designed to be flexible itself, how it can give students the space to tune into their personal needs, and to practice in a way that is nourishing and safe. In the end, I really fell in love with the experience. I’m happy to say that the students did as well. The afternoons were hours of exploration through which I could experience Ramadan through my students. 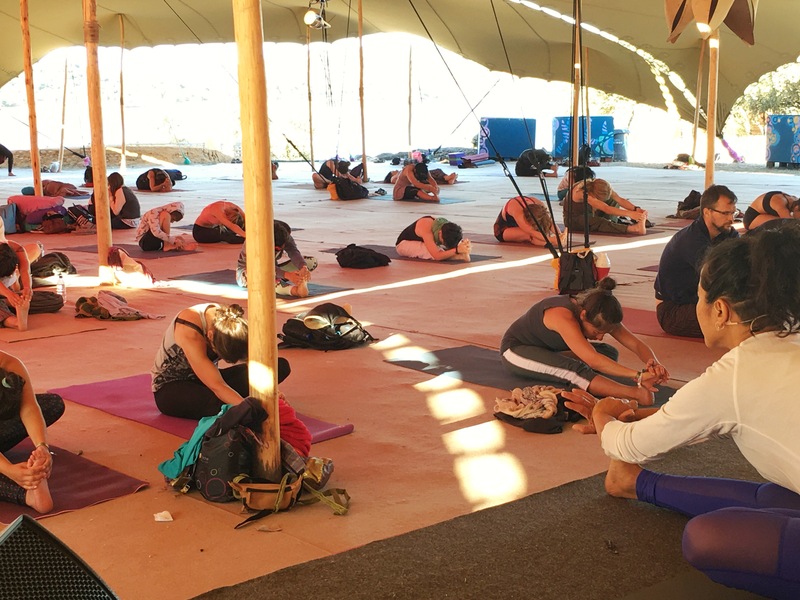 Together, through the practice, we tuned into the body, worked with the various phases that comes with fasting, from the lightheadedness and fatigue early on to the lightness of body and bursts of energy that came later. I saw how the initial effects of fasting effected practitioners and we were careful to respect and honor them especially during the first week of practice. We focused on a softer breath and slow steady movement, careful not to push bodies. 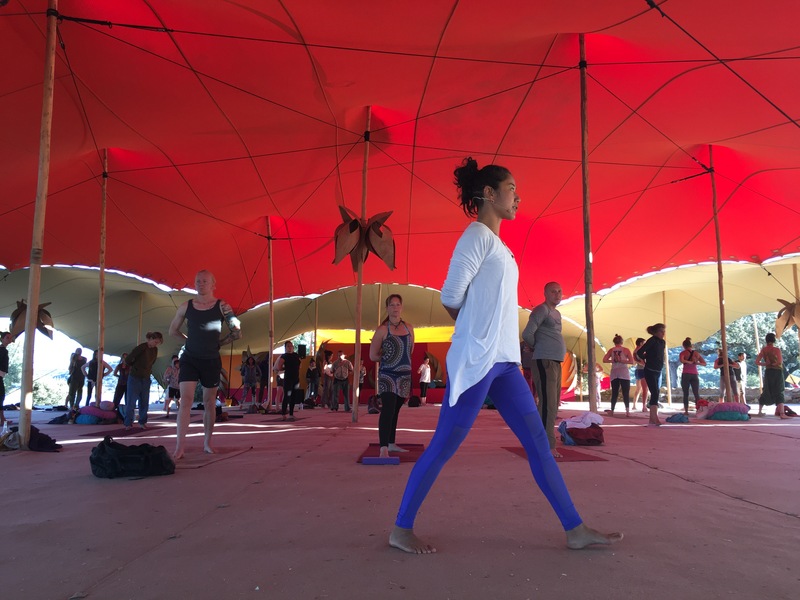 We approached postures, like standing forward-bends, carefully to avoid dizziness. 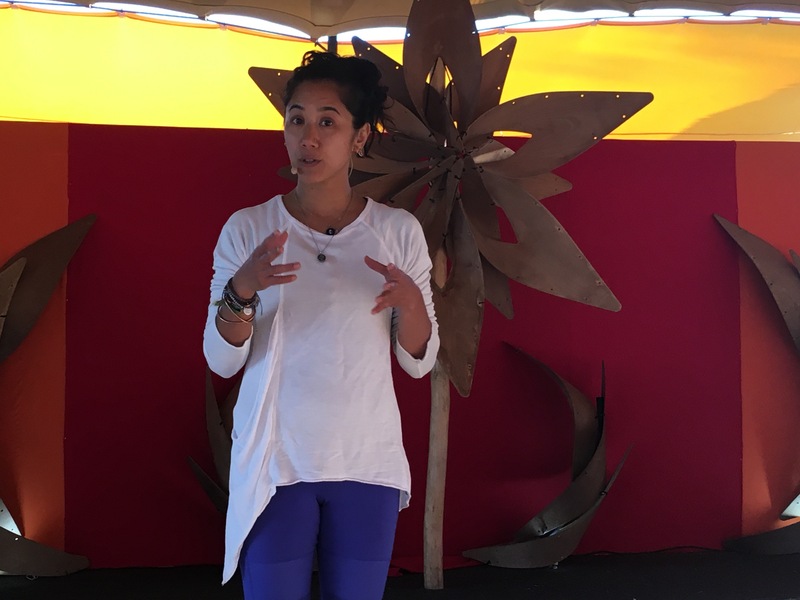 We spoke about the yamas and how important it is to practice with non-violence, with honestly, with non-attachment, in a way that we aren’t stealing from ourselves and in a way that we are using our energy wisely. I encouraged students to honestly tune into their available energy reserves, stopping early on in their practice if they felt low energy. With new students, we learned the sequence slowly, pretty much as we would do in the regular Mysore sessions. By the second week, students were over the headaches caused by caffeine withdrawal. People were more used to breathing after a day of no water. The body was more used to fasting. Students could do more and proceeded further than the week before. By the third week, students were actually light and lithe, often more so than before Ramadan started. The practice was energetic but also stable and focused. I saw the effects of the practice in a concentrated form with a group of people on a particular spiritual journey. How the Mysore practice, so often villainized as being a difficult-hard-as-nails sort of yoga method, could be used as a gentle tool for personal introspection as well as a means for students to condition their mind and body, developing flexibility and strength steadily over a period of time. In a week, Ramadan will start. I’m looking forward once again to teaching those hours before iftar, on top of the morning sessions, experiencing the shifts and learnings that come with it, which inevitably make us not just better students, but hopefully better people in the process.